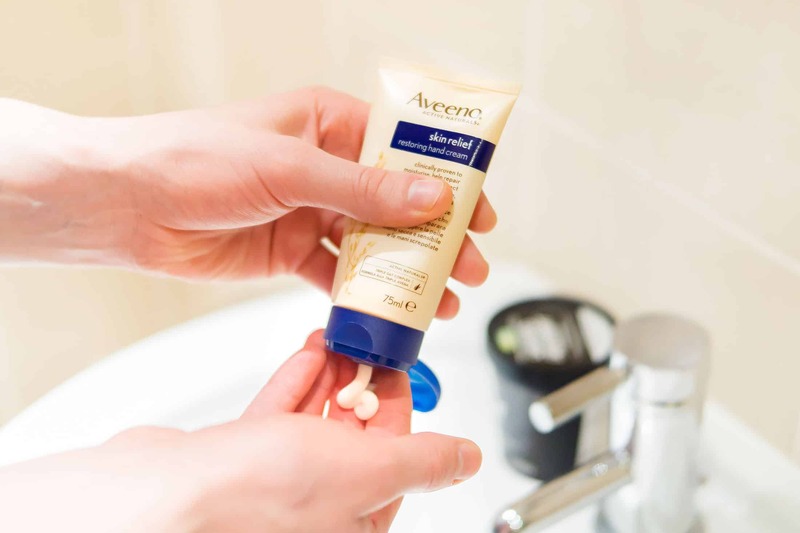 Whilst it’s important to moisturise well and regularly; removing the layer of surface dead skin cells is equally important, allowing that moisture to get deep inside those fresh cells. By doing keeping to this routine regularly, I’ve been able to massively reduce the symptoms. 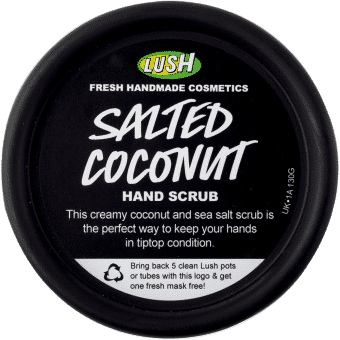 I’ve used a lot of hand scrubs in my time, but none of them are as effective as the LUSH Ltd Salted Coconut. It’s like grit, salt and sand paper served on a base of tofu, Japan wax, glycerin, argon oil, capuacu butter and extra virgin coconut oil. There’s also skin conditioning and cleansing Lemon Infusion and Neroli Oil. This also has to be one of, if not the, best smelling skincare products I have ever used. It’s like caramel, marzipan coconut. Mr. MANFACE (Chris) very kindly volunteered to be my hand model for this post so I could get some really great shots. Step 1. On dry hands (wet if you want it to be gentler) take a generous amount. Enough to cover both your hands completely. Step 2. Place the blob in the palm of your hand and mentally prepare yourself to scrub. Limber up. Step 3. Rub your hands together up and down, left to right, inside and out. Get scrubbing from your finger ends and cuticles, right down to your wrists. Step 4. Once you’re all scrubbed out, rinse your hands under warm (but not hot) water. This will increase blood flow to the surface of the skin. Step 5. 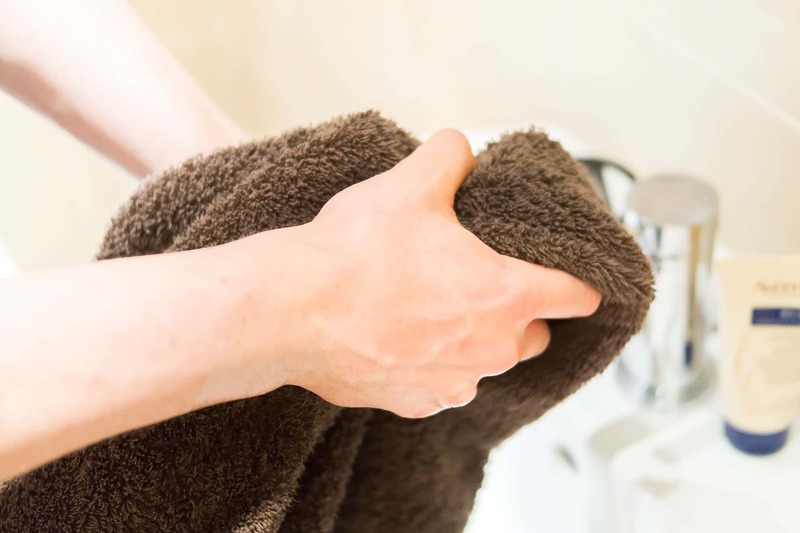 Dry your hands thoroughly with a soft towel. Step 6. Apply lashings of hand cream. 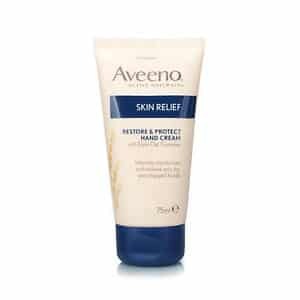 My favourite is Aveeno Skin Relief restoring hand cream. I used to get this on prescription and now buy it by the gallon. I have one in every bag and drawer I own. 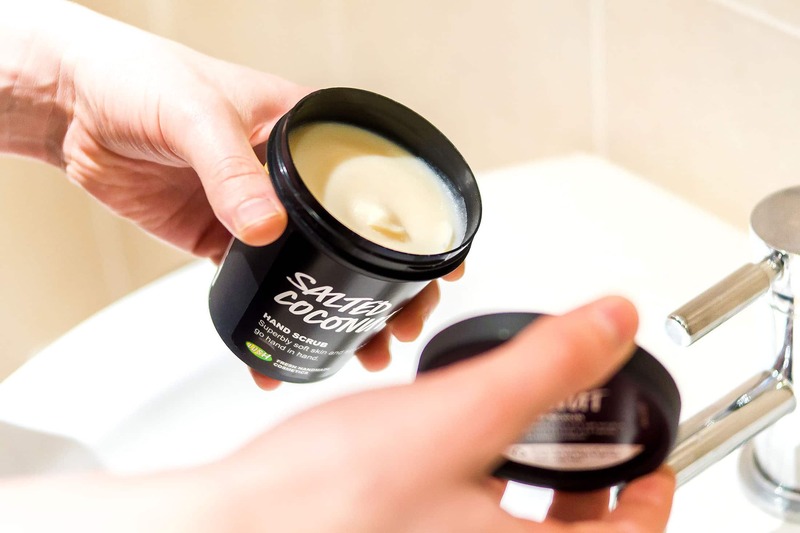 It’s super hydrating and rich whilst sinking in and being non-greasy. The triple oat complex burrows its way into the skin to deliver long-lasting moisture. Step 7. Voila! Super-soft hands that are good to go. Salted Caramel Hand Scrub. From £7.95/130g. LUSH Ltd. This article first appeared on MANFACE written by Thom Watson. It was published on Monday 13th February 2017 and was last updated on Monday 3rd April 2017 at 12:28pm. It's categorised under Aveeno, Exfoliate, Hands, LUSH Ltd where you'll find more related content.